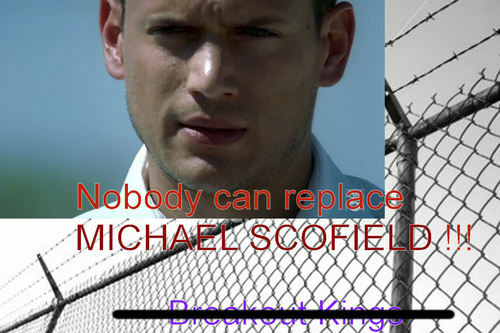 Nobody can replace MICHAEL SCOFIELD !!! Get Lost Breakout Kings. Nobody can replace MICHAEL SCOFIELD !!! Get Lost Breakout Kings. HD Wallpaper and background images in the Prison Break Cast club tagged: prison break michael scofield breakout kings wentworth miller. This Prison Break Cast fan art contains chainlink uzio. There might also be racket tenisi, tenisi racquet, tenisi racket, and tenisi raketi.